This musical approach to Christian history ignites interest in the story behind Sunday morning hymns. 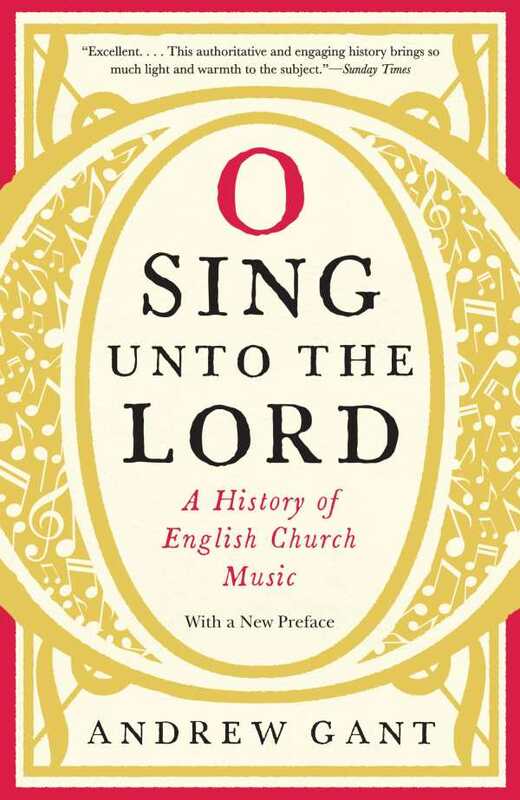 Andrew Gant’s O Sing unto the Lord is a fresh and refreshing approach to Christian history, resounding through church music. Gant hits the high points of Christian history, beginning with the monastics. With a British Isles focus, he covers the Reformation and Counter-Reformation, the Enlightenment, and various missionary movements, up to today. This is comprehensive work that ignites interest in all that’s behind Sunday morning hymns. Music is center stage in the text, with individual personalities stepping back to afford it room. Not to worry—favorite historical personalities are still here, from Augustine visiting the British Isles to various popes getting cranky. There are heretics galore. There are even bits of folklore mixed in, including stories about children who turn green after eating too many beans. The prose itself is musical, setting a rhythm with its historical detail— a date, say, is offered before an image and is set apart with a notable person, before the text moves forward. Over time, the march of history changes pace, but under the author’s watchful gaze, music is never far behind. There are details about musical annotation, about how various singers’ voices play together, and about the complexity with which sacred music developed. Gant’s approach to church history via music works. With hindsight, it becomes easy to see how developments in monastic plainsong gave way to the spark of the Reformation, or to imagine how adding flourishes to cathedral choirs led to further exploration in religious art. The beauty of relating Christian history this way is that it broadens the focus to include the listening laity, not just the clergy or the church establishment. O Sing Unto the Lord is a great retelling of Christian history that holds interest by the hymns through which it works.